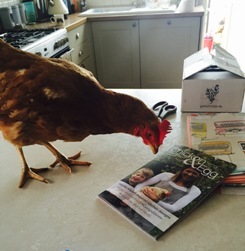 The charity produces a handy-size, free magazine containing news stories, recipes, special features, retailer and celebrity interviews, competitions as well as lots of gorgeous photos of lucky and loved hens. If you would like to receive the magazine for free via email on a regular basis then please click here. However, if you have adopted or plan to adopt hens you’ll automatically get C&E (unless you tell us you don’t want it). If you are a fundraiser you will also receive a free copy, and you might even spot yourself in a future edition! 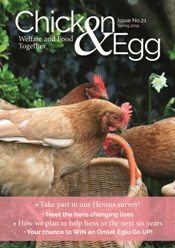 We hope you enjoy Chicken & Egg magazine; please feel free to introduce it to friends and family, as well as send in your stories and photos for inclusion.